Restaurant Facility - Bring Your Concept - Or Keep as Sushi! This is your opportunity to literally "turn your key" and re-open this well established Sushi restaurant. Selling Restaurants presents; this fully equipped 1900 SF facility, with a base rent of $2850, is located on a busy street, adjacent to and visible from a major freeway, in the city of Lake Elsinore, Riverside County. This is an asset sale. The previous owners closed the operation at the beginning of the month, however, everything has been left in tact, as is, and ready for the next owner to "flip a switch" and re-open immediately! 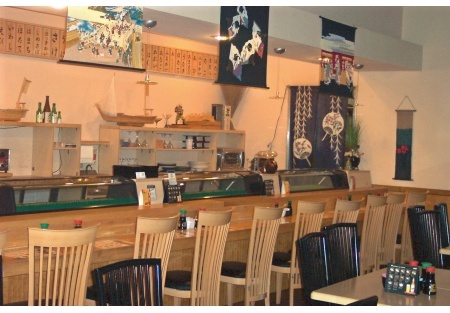 FF & E's, include; a full working Sushi Bar, a dining room with tables, chairs, booths and decor, a kitchen including; a full Hood System, Fryers, Burners, Grills etc., Walk-In Refer and Freezer, Reach In Refers, Ice Machine, Beverage Station and Cashier Station with POS system, even a fax and credit card machine and flat screen tv! Although this is an asset sale, there is still a large base of business with customers who have been dining here over the past 3 years. This center has three major chain restaurants creating great traffic for this location. Other concepts might include Mediterranean or Indian food as an alternative to keeping the existing Sushi-Japanese style. Additionally, the landlord may negotiate a new lease for the buyer. Don't hesitate on this opportunity, click on the orange button below, register to find the location address and additional pictures of this restaurant. You will also receive our future priority emails for all new listings and/or price reductions on current listings, before we release them to the general public.This is a Paramount Restaurant Brokers, Inc. DBA SellingRestaurants.com listing. Includes All Furniture, Fixtures & Equipment! Save Thousands of Dollars compared to building a restaurant from scratch. !